What Will I Pay in a Chapter 13 Case? If you are struggling to pay your bills and your household income is higher than the applicable median income, filing a Chapter 13 case may the answer to your problems. In a Chapter 13 bankruptcy, you will submit a repayment plan that sets forth how you intend to repay your creditors, either wholly or partially. The biggest concern for most individuals is how much they will be required to pay under their plan. To calculate this amount, numerous steps must be taken. 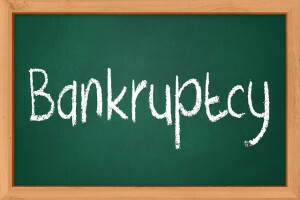 As your bankruptcy attorney, we will apply the means test to your individual finances to determine whether your income is higher or lower than the median income for your household size. The median income for each state is set by the U.S. Census Department. If your income falls below the applicable median income, the term of your Chapter 13 plan will be 36 months. Your “disposable income” or the sum that is remaining after you pay your “reasonable and necessary expenses,” will determine the amount of your monthly plan payment. If your household income is greater than the median income, we will apply the Internal Revenue Service (IRS) standards in calculating the amount of your plan payments. The IRS standards permit you to apply deductions for specific expenses such as your rent or mortgage payment and other necessary living expenses such as clothing, food, medical costs and other similar expenses. A seasoned Chapter 13 attorney can assist you in taking full advantage of all the applicable deductions. Once all of the deductions are applied to your gross monthly income, the remaining balance is your projected disposable income that will be used to fund your repayment plan. The Chapter 13 procedure can be complicated, but we can walk you through the process step by step. If you are interested in learning more about how a bankruptcy filing will impact your debt, contact Faro Crowder, PA to schedule an appointment. This entry was posted in Chapter 13 and tagged bankruptcy, Chapter 13, disposable income, payment, repayment plan on June 3, 2015 by Michael Faro.